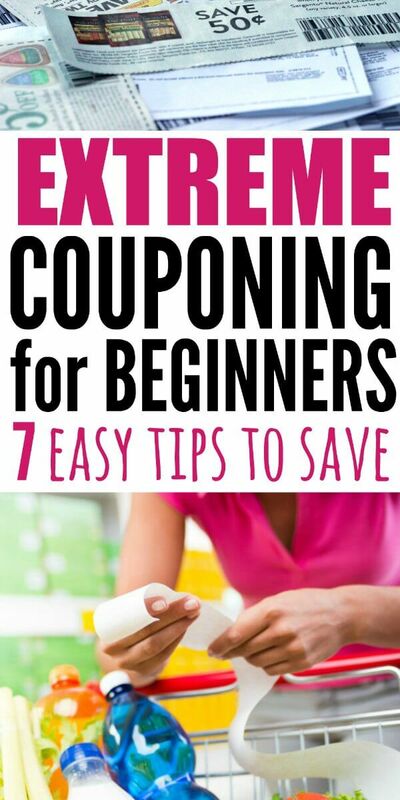 Learn all the tips and trips with extreme couponing for beginners! Save money and stock up on your most used products at rock bottom prices. Never pay full price again once you find out how to become an extreme couponer. Everyone has watched the famous TV show – Extreme couponers. Today I wanted to talk about Extreme Couponing for Beginners. Most of you want to know how you can snag amazing savings just like they did on TV. Now you might not get 40 toothbrushes for free, but you definitely can snag a few for free. In fact, did you know that I rarely pay for toothpaste, toothbrushes and I definitely don’t like to pay more than $1 for body wash and deodorant? Oh and did you know that I buy almost ALL of my toilet paper and paper towels online, because I can snag it for way cheaper shipped to my door? Let’s talk about how to extreme coupon without going crazy. It’s not hard to learn how to become a couponer. With just a little work and time, your family will be saving a ton of money. Once you learn how to become an extreme couponer, you will be so glad you did! How do you start extreme couponing? Don’t get overwhelmed. If you are wondering how to start extreme couponing, start with these tips for beginners. 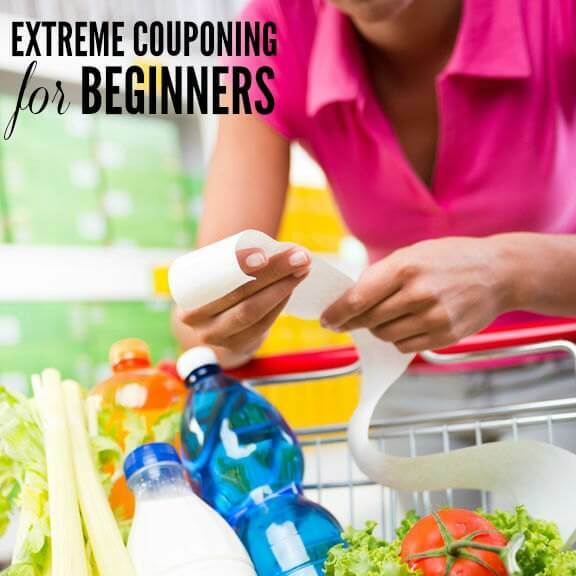 You will become an extreme couponer in no time! Save money every week! 1.Organize Your Coupons using a coupon box. 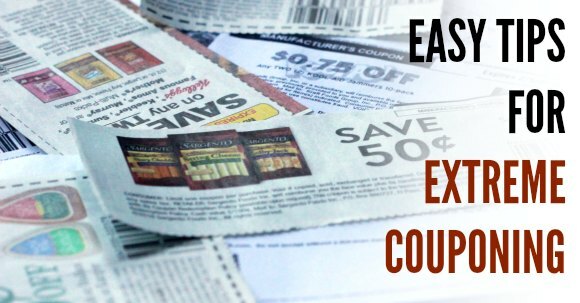 This method is by far one of the easiest and FASTEST ways to cut and clip your coupons. Trust me, this method works far more faster than the Whole insert or the binder organizing methods. You can learn more about the coupon box, get a discount on it, and even watch a video about it here. If you don’t think the coupon box method is right for you then make sure you check out this post where I talk about the top 4 ways on how to organize coupons. 2. Collect as many coupons as you can. You definitely want to read my post on the top 6 places to find coupons. It will really help. Plus… did you know that you can contact companies and many will mail you coupons? It is true! These tend to be higher value and the expiration date will farther out allowing you to snag even better deals. I have a post of over 200 of the best companies to contact to get coupons. You can easily to find coupons! What is the best coupon app? You can even get coupons by using different apps. This is really handy for those that don’t want to clip paper coupons. Find the best money saving apps for the grocery store here. 3. Get a Couponing E-mail address. 4. Only use coupons if the Item is on sale. This is HUGE! I can snag a great deal if I use coupons, but the real savings is when the item goes on sale. For example, cereal is around $4 a box. However, around here it has has gone on sale for as low as $1.67. How do you double a coupon? I can then use a $1/2 printable coupon and after that coupon doubles I pay only $.67 per box. If I would have used the coupon on the regular price I still would have had to pay $3 per box. You really save a lot by combining a sale with coupon plus a store that doubles! Yes, you will need to create a stockpile in order to prevent yourself from ever having to pay full price again. What this means is… if cereal goes on sale you don’t want to have to pay full price again. You need to buy enough cereal at that rock bottom price in order to last you until it goes on sale again. That magic timeline is about 8-10 weeks. If you eat one box of cereal per week then you will want to have about 10 boxes of cereal in your pantry. If stockpiling scares you read- What is a Stockpile and Why you need one! If you are nervous abut stockpiling and keeping things straight, watch my video on how I organized my pantry. This is an older video but has great tips in there. You will also want to read these creative ways to organize your pantry. 6. Print as many coupons as you can. Just like in number 2, top 6 places to find coupons – you need as many coupons as you can get in order to save the most amount of money. Printable coupons are easy to get, but you are limited. You can only print two of the same coupon per computer. That means if you want more of the same coupons, you will need to print them from another computer. You can use the same printer, but you will need the same printer. Plus…. now you can Print from your smart phone! Woohoo! I just started printing from my phone and I’m loving it because I can print two more coupons. Plus… I can even have my husband print coupons too. Which stores allow you to stack coupons? Not all stores allow you to stack coupons. Learn how to stack coupons here. It’s a good idea to check your favorite store’s coupon policy to see if they allow you to stack coupons. For example, if you can stack a store coupon with a manufacturer coupon, the savings really add up! 7. Understand everything about Coupons. You can’t be an extreme couponer if you don’t understand coupons. Take a few minutes to read these posts on how to do extreme coupon. How to Read Coupons and Understand them – Wording on coupons can be tricky. How to Stack Coupons to maximize your savings. A lot of people shop at Walmart. It’s a good idea to be familiar with their coupon policy if you shop there for groceries. What is Walmart’s coupon policy? Couponing at Walmart – Tips you need to know is a great starting point. Find lots of money saving tips! I hope I didn’t overwhelm you. 🙂 Take a few minutes per day to read up on some of these posts so you can become an extreme couponer and save a ton of money. Stacking coupons is an art that once you master, you will really be able to start saving money. Learn how to stack coupons effectively to save money. 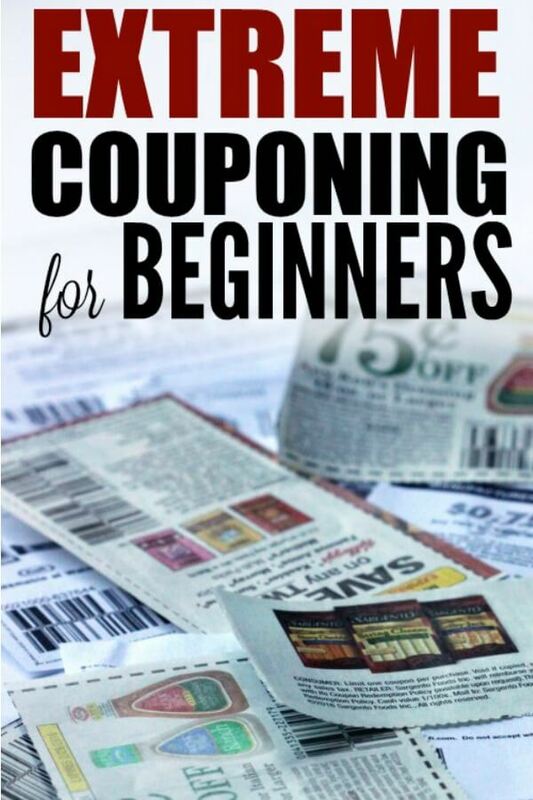 Once you learn how to coupon for beginners, you will save a lot of money! Learn which companies to contact for coupons. We have over 200 companies to contact for coupons in your mailbox. You can get free coupons for groceries and more. These are some great tips. I like mixing digital coupons with actual paper coupons.